New president returns to Northwest after administering Shriners Hospital in Honolulu. John White was looking for a way to come back home to the Pacific Northwest. Serving as the administrator for the Shriners Hospital for Children in Honolulu, Hawaii, he longed to live and work closer to his college-age children and his parents. So, when he found out that the president position was open at St. Charles Madras and St. Charles Prineville, he jumped on the opportunity. "I spent the majority of my entire life in the Northwest. I love Eastern Washington and Eastern Oregon," he said. "I am a solar-powered kind of guy. I love to be outside and hike, fish, bike and backpack. This is just heaven from a personal perspective." White took over the president role, which was recently vacated by John Bishop, who accepted a hospital CEO job in Montana, on Sept. 10. 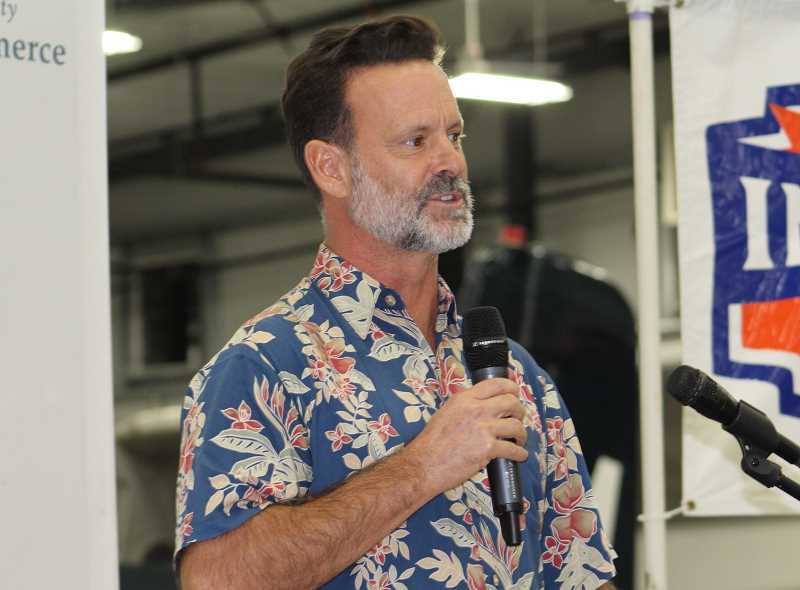 He has spent 22 years in chief executive roles in hospitals throughout Washington and Hawaii. He accepted his first CEO job in Newport, Washington, at age 30. Hospital leadership was introduced to White at an early age. His parents worked in the field when he grew up, and he found himself following the same career path, earning a Bachelor of Arts Degree in business administration and a master's degree in health administration. "It just kind of runs in the family because it's what you know, and you have sort of a built-in mentorship around," he said. Much of White's career has been spent in rural hospitals, much like the ones he is taking over in Madras and Prineville, and he is consequently a passionate advocate for rural health care. "Washington state is a very connected community when it comes to rural health care," he explains. "When I was first starting, there was a group of hospital leaders around the state and the hospital association that were really aligned and had the same goals to promote rural health care and make sure that the systems around the state were the safest and most sustainable they could be." White served on several different governing boards during that time, including time as the chairman of the Association of Washington Public Hospital Districts, an organization that represented 54 hospitals throughout the state. "We set rural health care policy, helped with the state decisions on that, and I was actually (involved with) the fifth critical access hospital conversion in the state of Washington," he said. "I have a lot of experience in rural health care." As White gets his feet wet in Prineville and Madras, he intends to spend much of his time connecting with the community, getting to know his medical staff in each town, and meeting with local leaders and residents. "The main role of a leader is to influence the organization somehow, to be able to make sure we are going the right direction and everybody knows what their role is and what the specifics are of the destination and how we know we get there," he said. "Trust is the very best, most effective way to do that, and the only way to get the trust is if they get to know you." "I would love to meet you and start that relationship," he said. As he spends time connecting with the Prineville and Madras communities, White hopes to work on improving health care in each of the two locations. He said that most of his effort is going to be spent on creating access to care for patients, decreasing the cost of care, and "trying to tackle the over goal of being America's healthiest community together." "We have the strength, analytical capacity, knowledge base and financial stability of a system behind us and that is something I wished for my whole career," he said. Stepping into the new role, White wants the public to know that he is very happy to be here, and he is planning to stick around for a while. He notes that one of the challenges many rural hospitals face is leadership transition. "People come and go and that is tough on the organization," he said. "My plan is to stay as long as you guys will have me."